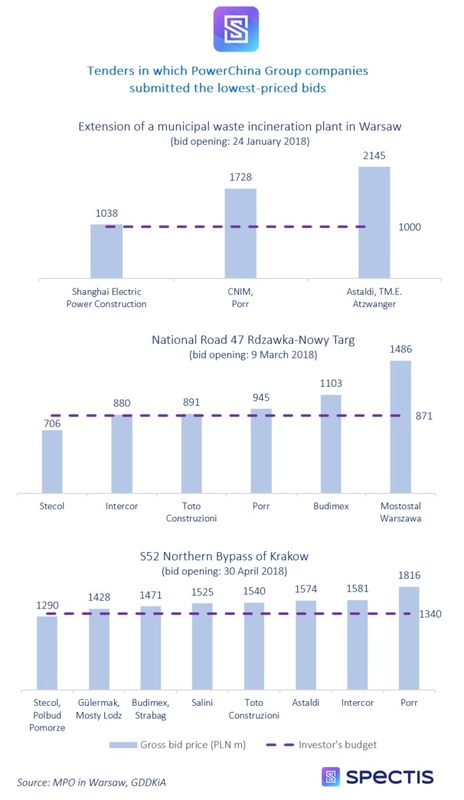 Despite unsuccessful bids to secure contracts for the construction of the Ostroleka Power Plant and the tunnel section of the S3 expressway, members of the PowerChina Group still stand a good chance of winning three orders totalling more than PLN 3bn, incl. VAT, the largest of which is the construction of the Krakow Northern Bypass. While it is way too soon to say if expanding into the Polish market has been a successful effort, it should already be noted that if the PowerChina Group secures the three contracts, it will actually reach the top 10 of Poland’s contraction companies in terms of the order book value. Interestingly, the company has set itself the objective of achieving the position of a leading participant of the infrastructure construction market, not only in Poland but also in Europe as a whole.